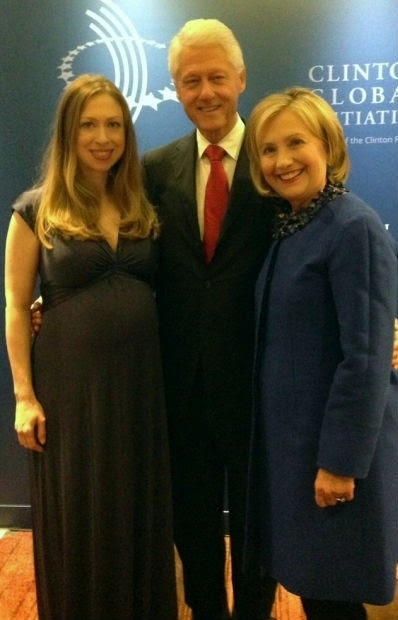 Bill and Hillary Clinton are now proud grandparents. Chelsea Clinton the only child of her super influential parents, recently announced on Twitter that she and her husband are ‘full of love, awe and gratitude,’ over the birth of their daughter. Chelsea Clinton just had her very own first daughter! The political scion has welcomed a baby girl with husband Marc Mezvinsky, the new mom sharing the happy news tonight on social media. “Marc and I are full of love, awe and gratitude as we celebrate the birth of our daughter, Charlotte Clinton Mezvinsky,” Chelsea tweeted and posted to Facebook. Congratulations Chelsea! And I suspect her mom and dad are soooo excited!